There are a wide range of irrevocable trusts used primarily for estate planning purposes. However, irrevocable trusts can also provide asset protection benefits by insulating the trust assets from liabilities of trust beneficiaries and to some extent, the trust Settlor. The assets in an irrevocable trust are protected from the liabilities of the beneficiaries if the beneficiaries do not have a certain, defined interest in the trust (i.e., the beneficiaries interest is contingent on a future event or the interest is subject to the discretion of the trustee), or the trust agreement includes a “spendthrift” provision which prevents creditors from making claims against the beneficiaries’ interest in the trust and also prevents the beneficiaries from transferring or pledging their interests. If the trust includes these protections, the only time assets would become subject to creditors of a beneficiary is after the assets are distributed from the trust and become the beneficiary’s personal property. Consequently, as long as the assets are retained in the trust they are protected and can continue to provide for and benefit the beneficiaries beyond the reach of their creditors. 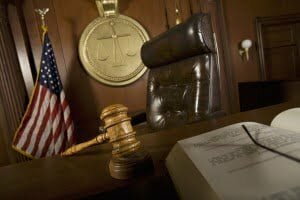 The irrevocable nature of a trust can also limit the reach of creditors of the trust Settlor. Since the trust is “irrevocable” the Settlor cannot later change his mind and terminate the trust and take back the assets. Rather, upon transfer into the trust the Settlor has no power or authority to change the terms of the trust, use the trust assets or derive any benefit from the trust except as provided in the trust agreement. In the absence of fraud, generally creditors of a Settlor cannot reach an asset within an irrevocable trust if the Settlor gives up complete control over the trust. However, if the Settlor retains any interest in the trust or the power to change the trust terms or dispositions, the Settlor’s creditors may be able to reach the trust assets to the extent of the Settlor’s retained power or interest. A Self-Settled Spendthrift Trusts (“SSST”) is a form of irrevocable trust that offers greater creditor protection to the Settlor while not requiring the Settlor to give up absolute control and benefit from the trust assets. Under a SSST, the Settlor can be a beneficiary of the trust and can retain certain controls and authorities within the trust, such as the ability to direct investments or change the trust beneficiaries. Once an asset is transferred to the trust, a creditor of the Settlor has a limited period of time within which to challenge the transfer as an attempt to avoid a debt and assert a claim against the asset. If the creditor does not make a claim within the proscribed time period, the asset is protected. Even if the Settlor later incurs a debt to the creditor, the creditor cannot reach the asset if the claim is not asserted within the proscribed time period. The SSST is now authorized in several domestic jurisdictions such as Alaska, Delaware and Nevada, but Nevada is the preferred jurisdiction due to the shorter time period for a creditor to assert a claim: 2 years in Nevada versus 4 years for Alaska and Delaware. More information about the Nevada Asset Protection Trust is available click here. “Off-shore” Trusts garner their namesake due to the fact that they are trusts established outside the United States in a foreign jurisdiction. Generally these trusts attempt to provide the Settlor asset protection, while still allowing the Settlor control of the trust and benefit of the trust assets. Often the asset protection is derived from the fact that it is a difficult undertaking for a creditor to not only obtain a judgment against the Settlor’s assets in a foreign jurisdiction but then also to collect against those assets. In fact some foreign jurisdictions implemented laws to make this process difficult for creditors to thereby encourage Settlor’s to establish trusts in their jurisdictions (i.e., the Bahamas and the Cook Islands to name a few). However, some of the same aspects that make these trusts unattractive to creditors also create risk for the Settlors: the assets are located in a foreign country and are subject to foreign laws and regulations. The attractiveness of off-shore trusts has been further eroded by increased reporting requirements for offshore trusts and holdings since 9/11 and recent court rulings such as the Anderson case, wherein the court held that the debtors (the Andersons) could be jailed for failing to make assets held in an offshore trust available to the Anderson’s creditors. A safer alternative to provide asset protection for a Settlor is the Nevada Asset Protection Trust. A final technique that may be considered is the separation of assets and potential liabilities between spouses. It may be possible to isolate risks of one spouse (i.e., liabilities through a job or profession) to only that spouse’s separate assets, thereby gaining asset protection for the other spouse’s separate assets. To achieve this isolation of risk would require a written agreement between the spouses (such as a prenuptial agreement) that clearly defines the separate property of each spouse. To maintain the separation of assets would require diligent management of assets and resources during marriage to ensure that no community interest is created. This technique would also only be effective to the extent that in the event of a creditor claim, the debtor spouse can show that the liability was incurred by the one spouse individually and not through an undertaking for the community benefit. This type of asset protection planning would also have additional ramifications. In the event of divorce, the property agreement would apply. In addition, this technique could have estate tax consequences if the separate properties are significantly disproportionate and would also mean there would be no step up in basis for the assets of the surviving spouse on the death of the first spouse. Careful planning is suggested when using this strategy. 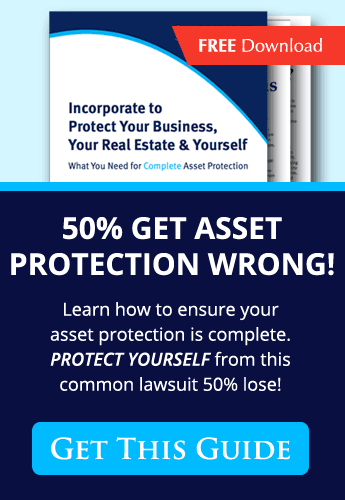 When considering taking steps to protect your assets, it is important to keep in mind that no asset protection technique will shield assets from a creditor if the transfer is made in attempt to defraud or hide assets from a creditor with a potential claim. In fact such attempts may only compound the problem by turning a financial liability into a criminal liability. It is also important to keep in mind that much like an estate plan, an asset protection plan must be carefully considered and tailored to meet each person’s individual circumstances. With the many tools available and the myriad of ways in which they can work together, asset protection planning should only be done with the guidance of experienced professionals who can correctly analyze your situation and help you formulate a plan to best meet you needs. To set up an asset protection consultation with a Asset protection irrevocable trust Attorney please call 1-800-700-1430.